The weather's getting brutal as summer heats up. Just in time, Google now adds more detailed weather information for all those times you ask, "What's the weather?" Now when you search for "weather" or ask Google, "will it rain today?" 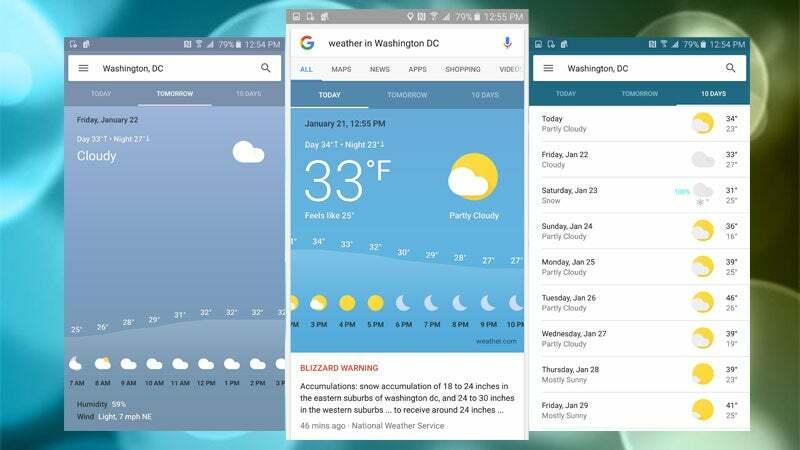 in the Google app on your Android phone, you'll get a wealth of new information, including: hourly sky conditions and chance of rain, severe weather alerts, a detailed 10-day forecast, air quality, UV index, sunrise and sunset times, and more. You can now also save your favourite locations by searching for them and selecting "Add", which will show you your additional locations in the search drop-down. The redesigned weather search results also port changing background colours based on sky conditions. Speaking as someone who's first question for Google everyday is "what's the weather? ", these are nice upgrades. Use Google now. You won't have to ask, it will already be there.